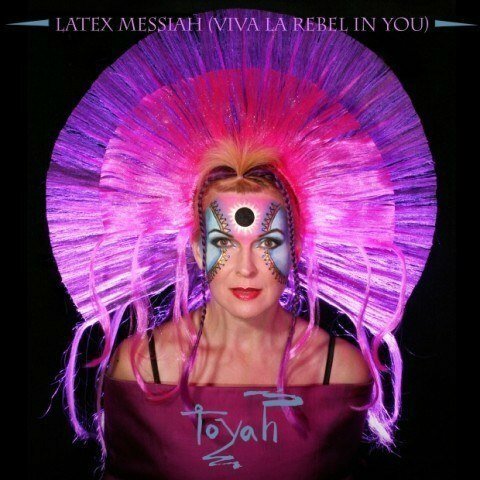 Latex Messiah (Viva La Rebel In You) is the 23rd single release by the British rock singer Toyah Willcox. Written by Toyah and collaborator Simon Darlow, it was her first single release since 1994 and also her first digital release. The single, taken from the singer’s studio album In The Court Of The Crimson Queen (2008), was released as a download, exclusively through iTunes, on the 29 October 2007, and reached #6 in the iTunes Rock Chart. Several “guerilla footage” home made videos were shot for the song (a collaboration between Toyah and her long-term photographer Dean Stockings) and are featured on her Myspace page and on the official Toyah YouTube channel.